The Balsa Vine Ball has a little bit of fun for everyone. Does your parrot love balsa? 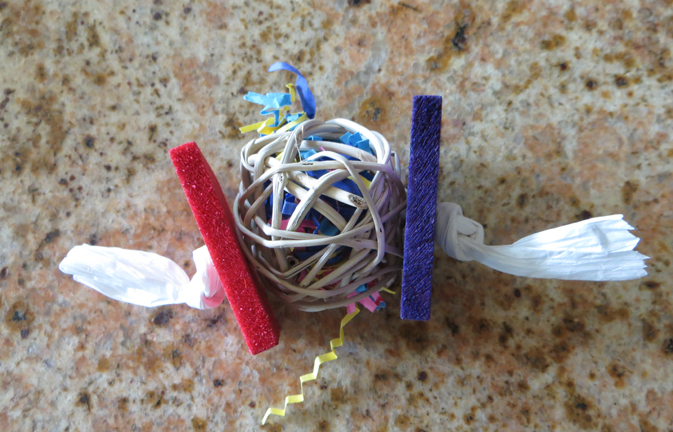 This is a great toy to encourage foraging with the 2" filled vine ball center which is sandwiched between to colorful balsa slats ... all tied together with some fun paper rope. Have fun with this, stuff the center with some of your parrot's favorites and watch the fun begin!